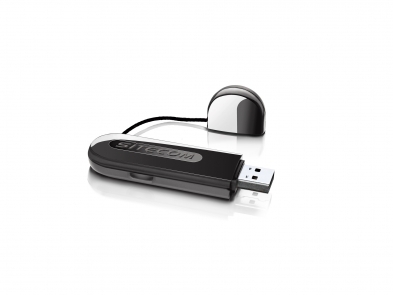 With this wireless adapter you can easily connect your desktop PC or notebook to a wireless network via USB. It supports wireless speed of up to 300 Mbps, provided your (modem) router supports a speed of 300 Mbps or higher. The integrated high-performance antennas guarantee an extended range in any location. Create a secure connection to the router with just one push of the OPS (One Push Set-up) button. 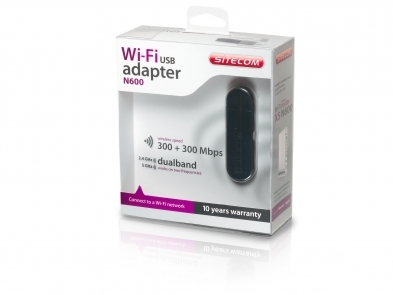 The WLA-5100 Wi-Fi USB Adapter N600 is ideal for use with X5 (modem) routers. It comes with the extensive 10-year Sitecom warranty. Simply activate the long-term warranty by registering your product within 3 weeks of purchase.